Festivals have been majorly growing in popularity over recent years and the expectations of the audience has been equaly rising. These days it is not sufficient to hang an LED screen and a few moving heads – special effects are in high demand. Lasers are perfectly suited for festivals or on outdoor stages as the laser beams reach far out over the crowd taking the light show and atmosphere right to the back and not just the first few rows as with conventional lighting effects. 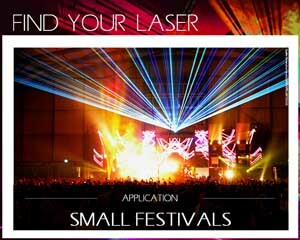 We have selected the most suitable laser systems for small festivals and stages below. 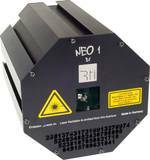 Click on the very laser system to get the full specifications and details.